Thank you ladies very much for making me feel so special. 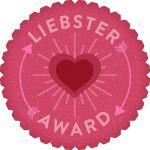 The Liebster (a German word meaning dearest) Awards is given to bloggers by bloggers. It is given to up and coming bloggers with fewer than 200 followers. It is a way to acknowledge and encourage each other, and a great way to spread the word about smaller blogs who deserve a larger audience. 2) Answer the 11 questions that the tagger has set for you PLUS you MUST create 11 questions of your own for the 11 people you will nominate with the award. 4) Go to their pages and inform them of the nominations. 6) Remember to ONLY tag bloggers with less than 200 followers. 1. I got married to my Best Friend/Baby Daddy on March 31, 2012! 3. I've worked at a country club for over seven years and still haven't ever picked up a golf club yet. 4. I worry about everything! I wish there was a pill that would just zap it away. 8. Over four months I have been smoke free. 9. 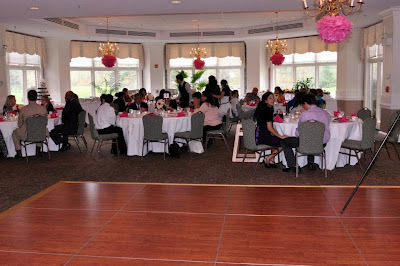 I help my Hubs run a Party Rental business called The Moonbounce Man. Check it out! Business is great in our area and hoping for it to be paid off soon. 10. If you give me too many shots, I turn into a crazy lady. So don't do it! 1) What did you want to be when you grew up? I wanted to be a cop! Then I got to high school, hated it, caused trouble in my YA life and so that dream disappeared. 2) If you could go on vacation anywhere for free, where would you go? On a cruise with my Hubs since that's my dream Honeymoon. 3) What is your favorite meal to cook? Anything that's fast and easy! I really wished I enjoyed cooking... maybe one day. 4) Have you tried a Pinterest recipe or craft? Did it come out as good as the Pin/Pinner's? Feel free to share the link. 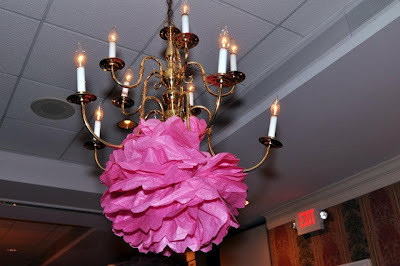 One of my bridesmaids and I made Tissue Pom Poms for my wedding reception. They were pink and super cute! I've also tried different smoothies. I pinned tons of easy recipes recently so hopefully I'll get the motivation to try them out soon! 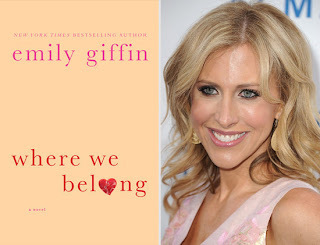 5) If you could live anywhere in the world, where would you live? Anywhere close to a nice beach! I don't really have a favorite! 9) Do you tweet? If so, feel free to share your name. 10) Are you hooked on reality tv? If so, what is your favorite show. Yet again, I don't have a favorite... BUT I do love some reality TV. Which reminds me that the Teen Mom finale is on tonight. Sad face! 11) Are you a parent? If so, what is the one thing no one warned you about? Yes! I have a beautiful three year old girl named Briana. I plaster her photos in most of my posts. -Postpartum depression. Not everyone goes through it but I believe I had it for at least the first year of my daughters life... now I'm just bitchy at times HAH! Another story for another time. -Your friendships change. I lost a ton of friends that are now just acquaintances because I started a new chapter in my life. Honestly it took me awhile to get used to that! But I wouldn't change a thing. 1. What was the reason of starting your blog? 2. What is the most important advice that you've learned so far in your blogging career? 4. What advice would you give to new parents? 5. What are your personal goals in life for yourself? *Not talking about for your kids or Husband (if you have them.) YOU. 6. Have you gone on vacation this Summer? If so, where? 9. Do you exercise? If so, what is your favorite workout? 10. Have you or do you have any bad habits that were/are hard to quit? 11. Would you change anything about yourself? I'm dying to go on a cruise! Never been on one, but it looks so relaxing. And I totally hear ya on the whole not liking to cook thing. Sometimes I feel bad about it, but usually I'm too lazy to care, lol.